This transitional reclining loveseat has lots of special features. Both seats operate with power recline and also have adjustable power headrests for added comfort. A storage console and cup-holders between the seats provides convenience. 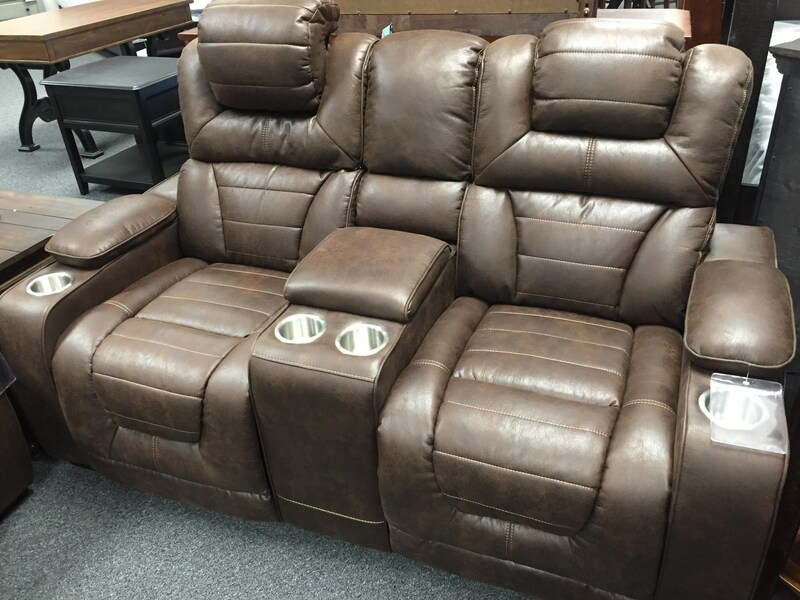 The 73901 Power Headrest Reclining Console Loveseat by Corinthian at Furniture Fair - North Carolina in the Jacksonville, Greenville, Goldsboro, New Bern, Rocky Mount, Wilmington NC area. Product availability may vary. Contact us for the most current availability on this product. The 73901 collection is a great option if you are looking for Casual furniture in the Jacksonville, Greenville, Goldsboro, New Bern, Rocky Mount, Wilmington NC area. Browse other items in the 73901 collection from Furniture Fair - North Carolina in the Jacksonville, Greenville, Goldsboro, New Bern, Rocky Mount, Wilmington NC area.